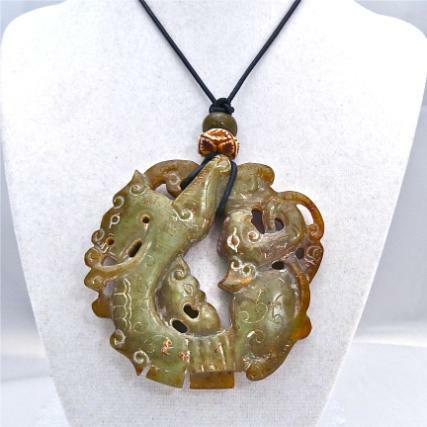 Approx 3 1/2" drop, 2 3/4" wide, on an adjustable leather cord. 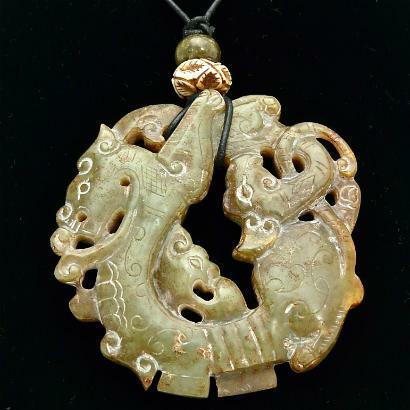 This piece of greenish brown old jade has been carved in a ancient Chinese traditional pattern of three intertwining dragons forming a circle. 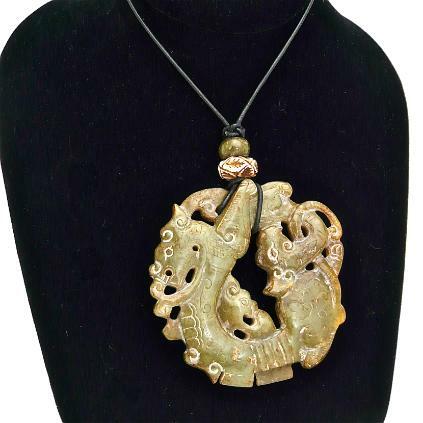 It is carved on both sides with the back slightly different representing the backs of the dragons. 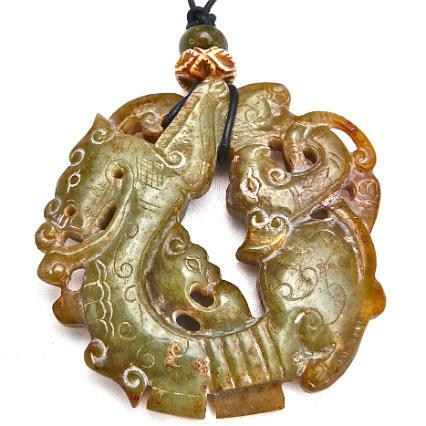 The jade measures 2 3/4” in diameter. 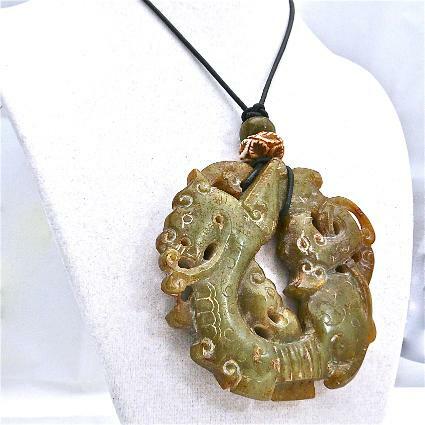 It drops (with the jade bead on top) 3 1/2” from a black natural leather cord that is adjustable so it can be worn a variety of lengths.